For several days, clear skies at 69˚40’N 18˚56’E have made it possible to watch this winter’s second full moon circulating above the horizon, not setting at all. Today, winter solstice, the darkest day of the year, coincided with a total lunar eclipse, something which hasn’t occurred since 1638. Next time it might be watched in 2094. Last modified December 21, 2010. 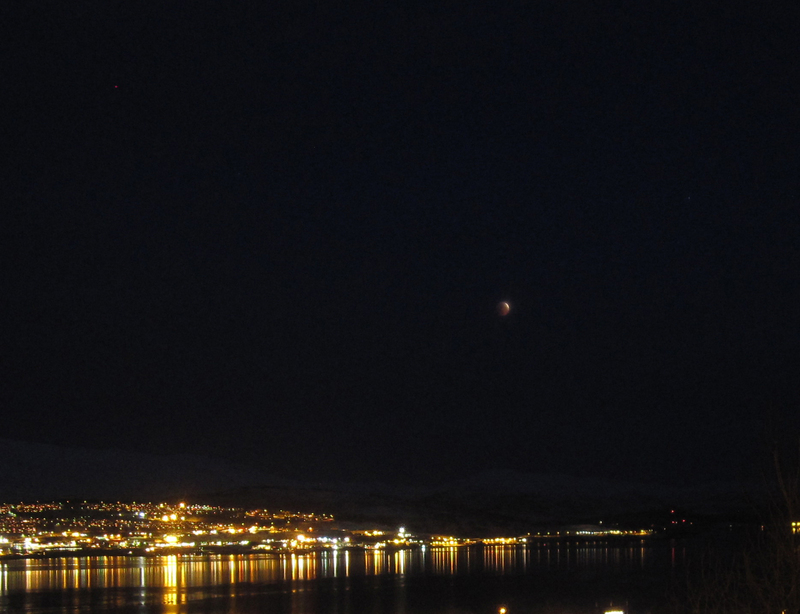 This entry was posted in Astronomy and tagged lunar arctic circle, lunar eclipse, rare events. Bookmark the permalink.